This Post has already been read 1659 times. 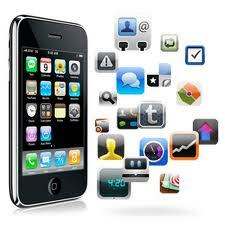 An interesting report came in news that around 46 million mobile apps are downloaded from Apple‘s App Store each day. In October 2011, App Store reached a new milestone of getting 18 billion downloads in total. This is almost three times more than the population of this world. Within a short time of six months, Apple announced in March 2012 around 25 billion downloads. These figures become understandable when seen in the light of the new statics that say around 46 million apps are downloaded everyday, which is a lot. However, this achievement for App Store is a little bit of a problem for the creative talent that develops these apps. For app developers say that it is becoming difficult every day for their app to be seen by people, which calls for a need that aApp Store should make out a way for letting newer apps be shown. Although, it does highlight the new apps, but amongst so many apps, not all could get attention. Another fact is that most of the downloads are received by iOS apps, which gets millions of download alone. With the communication through mobiles increasing everyday, including the web traffic, the whole network of human connectivity through technology is shifting. Already there has been a growth in such industries as that of apps. But this industry growth is advantageous to big companies. The app developers need to create their own recognition platform too.